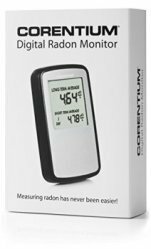 WHAT IS CORENTIUM HOME 223 (AIRTHINGS) RADON DETECTOR? Here we bring to you Corentium’s user – friendly and best home radon detector – CORENTIUM HOME 223 Radon Gas detector Review, to develop, maintain and sustain a happy, healthy and safe environment for you, your family and friends. 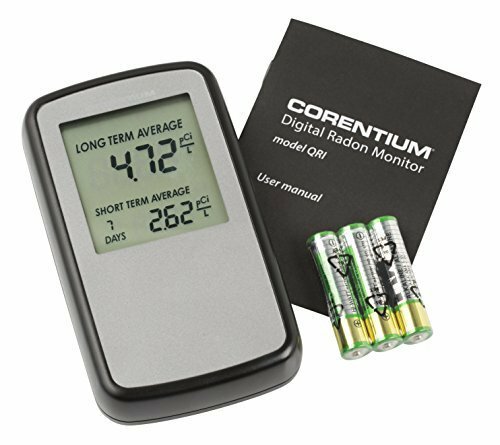 Corentium Home 223 Radon Detector device is a digital measuring instrument that measures the levels of RADON GAS in your homes. It’s a battery operated device which comes in a small box with 3 AAA batteries and the device itself. This high-quality European design device allows you to take the readings of radon levels in your home. These readings may be displayed on a long term and short term concentration levels. The device provides an overview of the concentrations of radon gas in your environment. Corentium Home 223 Radon Detector is tested in the most renowned laboratories of Japan and designed in Europe with advanced technology. It’s really a user-friendly model and ready to go within seconds. This home radon detector is not affected by any electromagnetic interruptions, humidity or dust. The advanced technology that this home test monitor employs is generally used in commercial detectors. Corentium Home 223 Radon Detector is a simple and powerful solution for testing the radon levels. 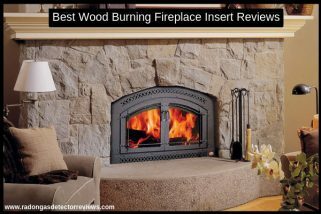 It provides accurate levels and adapts easily to the environment to display exact readings. This USA model’s measuring unit is pCi/L and monitoring goes on for 2 years effectively with the batteries provided. When the Corentium Home 223 Radon Detector switches on it performs a self-calibration and self-test within a few minutes. This self-calibration keeps happening in every 24 hours. During the self-test time, all the other buttons are deactivated. The batteries provided with the device will keep it working for the next two years. This radon detector is for home testing purposes only. It is designed to be used in accordance with worldwide standards (USA – pCi/L and International – Bq/m³). Exactly what you need to stay on top of your radon levels – no more, no less. Established in 2008, Corentium is a Norway – based technology company that develops and manufactures products to easily monitor and identify radon levels in the indoor air. Corentium’s mission is to ensure that people around the world take control of their air quality through affordable, simple and accurate solutions. why is not for USA or Canada? can you tell me where you want exactly in the USA or In Canada ?? Which device is better, Airthings Home or Airthings Wave. How do they compare with Safety Siren Pro 3. Do they use the same technology. I have read that Safety Siren needs annual calibration by the manufacturer while the Airthings devices calibrate themselves automatically. Please comment. I will suggest Airthings Wave. When does it need replacement? Every radon detector has a shelf life of 8 to 10 years. After this period, you can purchase a new one.